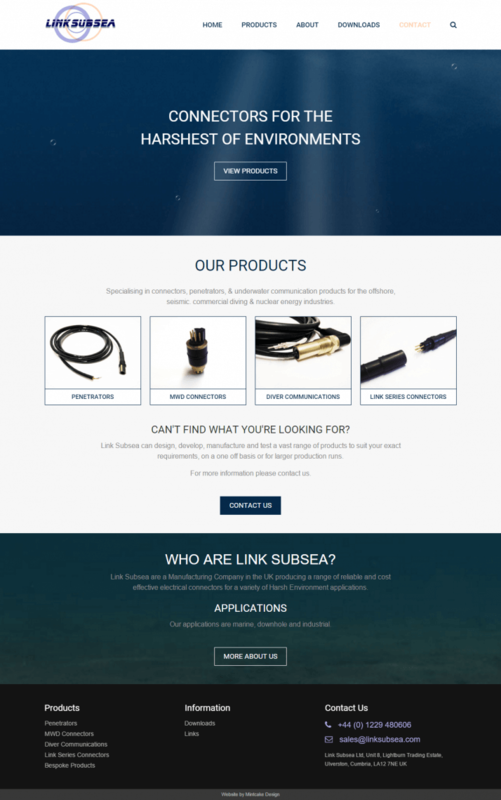 Link Subsea are an Ulverston based underwater communication connector supplier Link Subsea. They have four main product areas, penetrators, MWD connectors, diver communications and link series connectors which are aimed at offshore, seismic, commercial diving and nuclear energy industries. In partnership with the Cumbria Growth Hub, Mintcake were commissioned to redesign and rebuild for Link Subsea. From concept to completion we worked closely with Link Subsea to develop a range of features for their website. A web design that included the implementation of a mobile friendly design and a clearer navigation interface. We also created a product catalogue, integrating an enquiry form call to action on each product.